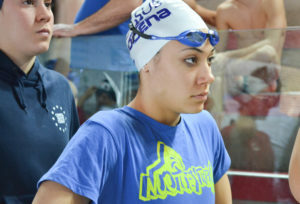 Quaglieri is the Italian Junior Record holder in 3 events in long course. 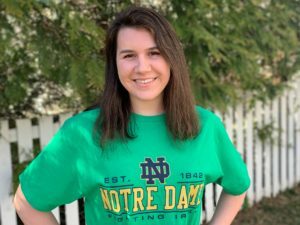 Allison Kopac has verbally committed to Notre Dame for 2020-21. 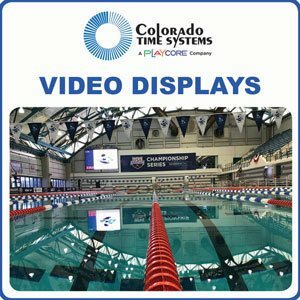 The North Carolina swimming and diving teams once again host the Janis Hape Dowd Nike Invitational from Feb. 8-10. The three-day event will be split between Chapel Hill, N.C. and Durham, N.C. The South Carolina women’s team has picked up two verbal commitments from mid-distance freestyler Haley Arner (pictured above) and the versatile Kaelyn Dougherty. Allie Reiter of Dunwoody High School and Dynamo Swim Club has verbally committed to the University of North Carolina for 2017-18. Georgia’s Bayley Frierson gives the Fordham Rams some geographic diversity, and looks to be the future of their distance group. 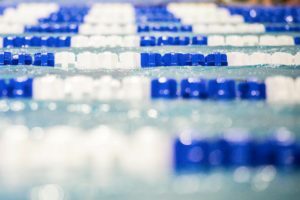 The UNC Tar Heels continue to build a stellar recruiting class with the verbal commitment of Connecticut’s Brooke Perrotta to the Class of 2021 women’s swim team. 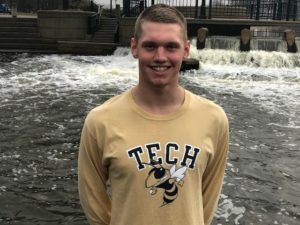 Michael Taylor put on a dominant display at day 2 prelims in Atlanta posting top times in the 200 free and 100 fly. The Brookwood High School boys team won their first GHSA 6A title since 2010, while the Lambert girls won their fourth in a row on Saturday.